Is it possible to "upmix" (split) stereo output from games, winamp, youtube and so on through 5.1 speaker set? 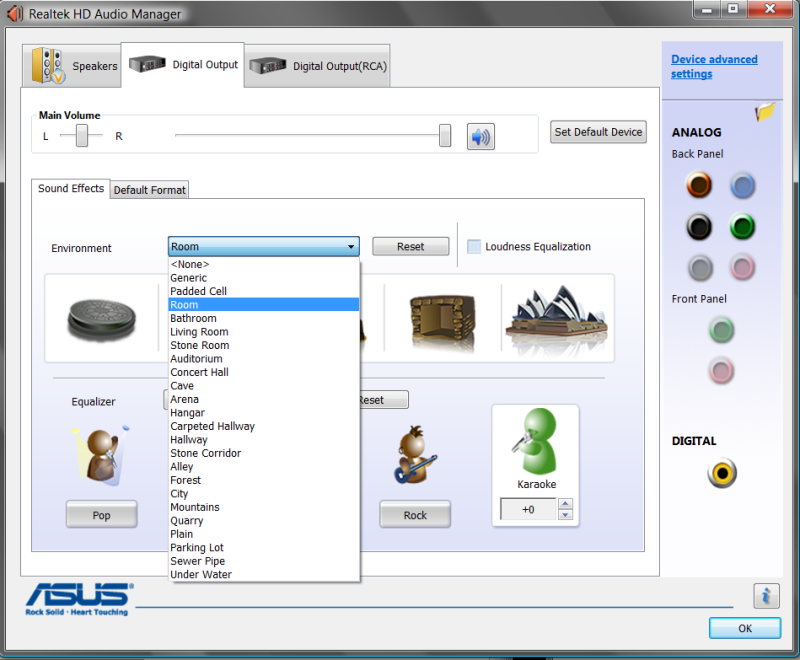 Movies from DVD or some games uses all 6 speakers, but most of today's usage does not. I know foobar2000 can upmix stereo MP3 to all speakers, I'd like to process all stereo sound that way. Is there any solution for Windows XP or 7? EDIT: I'm talking about onboard 5.1 sound output AC97 nForce2 chipset in my case. Definitely low-end. EDIT2: No digital output, 3 analog mini-jacks there. As Skelly says, it would depend on your driver. Yes it's possible, though it might depend on your sound card drivers. I use a Creative X-Fi card and the Creative Control Panel app lists two faux surround modes for upmixing stereo: Stereo Surround and Stereo Xpand. If I remember correctly, the former option does what you need, it basically puts the stereo signal from the front L+R spakers in the rear L+R speakers too, I don't remember what happens to the center channel though, it's been a while since I've used a surround speaker set. Check your driver controls for any similar-looking options. If your hardware has a 5.1 output path, the upmix will be supported. you will be limited to that. Not the answer you're looking for? Browse other questions tagged windows-xp audio stereo 5.1 mixing or ask your own question. How to stop Flash Player from upmixing stereo to 5.1?